Masonic Tumbler Mid 19th Century. 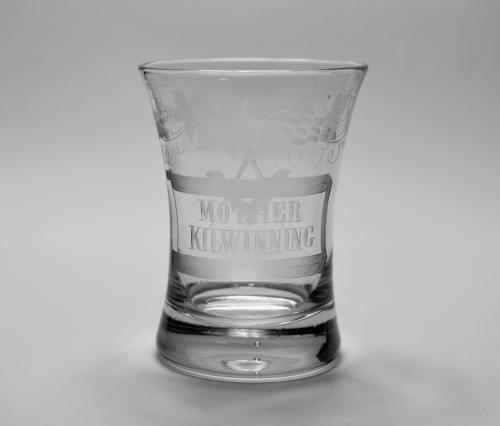 Waisted Masonic tumbler engraved band of fruiting vine and ‘Mother Kilwinning’ within a central panel, the reverse engraved with Square and a set of Compasses. English Mid 19th Century.